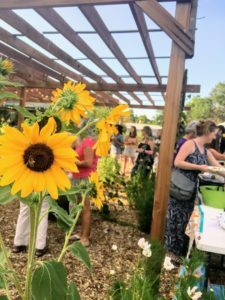 Bring a dish that reminds you of home to share with your neighbors at our garden potluck! We will enjoy the warm summer evenings together with music, great discussions, and of course, delicious food. The potlucks are funded by the Denver Office of Immigrant and Refugee Affairs with the goal of creating stronger and more connected neighborhoods, addressing community needs, bridging immigrant and receiving community, and fostering community pride.